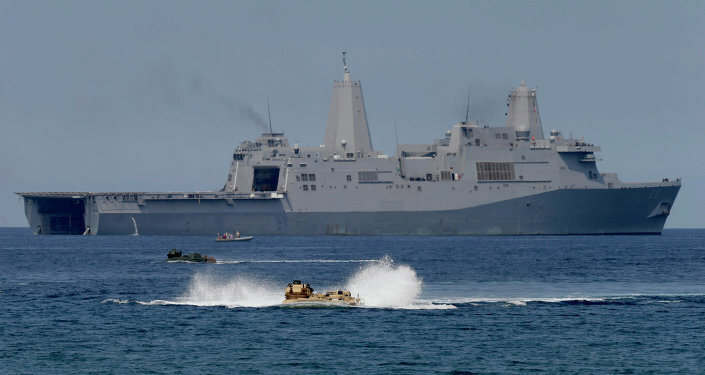 As tensions escalate in the South China Sea, journalist Mark Sleboda speaks with Radio Sputnik’s Loud & Clear to discuss a new Pentagon report which Beijing has pointed to as proof of Washington being stuck in an "outdated Cold War mentality." "Both Russia and China are simply letting the United States know [that] this is our backyard. You’re on the other side of the world. If you come into this neighborhood, we’re going to come and say hi and get real close in doing so," Sleboda tells Loud & Clear host Brian Becker, describing instances in the Baltic and South China seas, in which the US military was confronted by Russian and Chinese jets. The Pentagon has launched a series of aggressive freedom of navigation patrols within the 12-mile territorial limit of Beijing’s land reclamation projects in the Spratly archipelago. "This is a US challenge to these territorial claims by China. This is all part of a long, Asian pivot which the US has declared," Sleboda explains. "It’s not that China has, in any way, indicated aggression toward any of its neighbors or [expressed] any plans for global hegemony. This is about US hegemony. This is about US control and access for its military to all parts of the world." Washington has consistently argued that Beijing is operating in violation of the United Nations Convention on the Law of the Sea, a treaty of which the United States itself is not a part. And though Washington has called foul on the interception of its spy planes and warships, the US would undoubtedly respond in the same manner if Russian or Chinese military units were patrolling off the coast of the United States. "There would be calls in Congress to have the planes shot down." Despite the fact that the United States vastly outspends China militarily, a new Pentagon report has expressed alarm over Beijing’s growing prowess. "[The US] feels [it] has to be capable of taking on not just any other country in the world and defeating them one on one, which they’re certainly capable of doing, but they have to be capable of taking on everyone, every potential enemy in the world, at the same time, and defeating them," Sleboda says. "That is imperial overstretch. That is impossible. This is a US demand for absolute security over every country, which necessitates the absolute vulnerability of every other country." 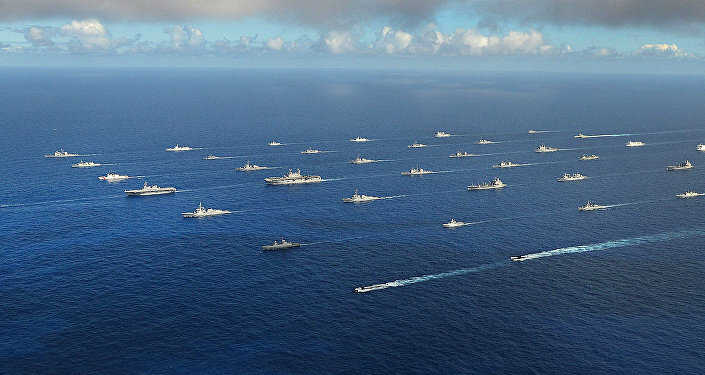 Pentagon leaders are worried that China is rapidly catching up to US naval might. "The US is extremely concerned in the South China Sea because its naval assets are quickly in danger of falling behind the Chinese. Particularly in such areas as subs, where the US is simply going to be outnumbered to an extent it can’t allow." A highly-contested region through which nearly $5 trillion in trade passes annually, most of the South China Sea is claimed by China, though there are overlapping claims by Vietnam, Taiwan, Brunei, Malaysia, and the Philippines. 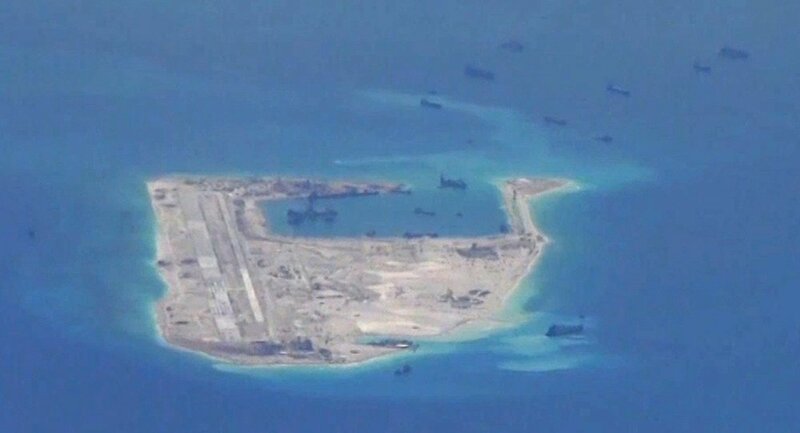 While the US has accused China of trying to use artificial island to establish an air defense zone in region, Beijing maintains it has every right to build within its own territory and that the islands will be used for primarily humanitarian purposes.